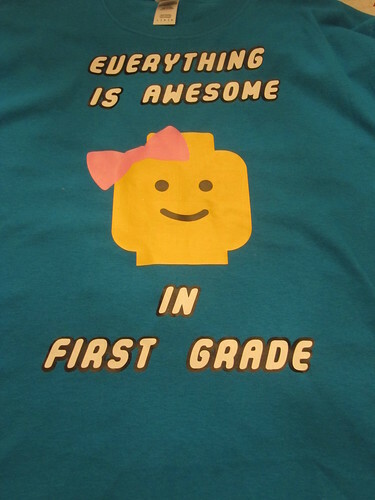 This year my partner and I are both doing Lego themed classrooms. We wanted to have a shirt for both of us to wear. I downloaded a Lego-like font for all the wording. I layered the white on top of the black shadow layer. For the Lego head I used some basic shapes in SCAL and adjusted them until I got the look I wanted. 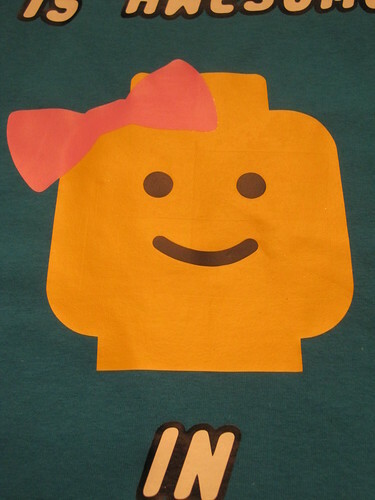 I finished off the Lego head with a pink bow and a smiley face.